Each musician is free to adapt the instrument to his personal playing style while enjoying the quality of precision, projection and overall sound. Antoine Courtois Legend 420 trombones have entirely handmade bells which adapt over time to a musician’s playing. The bells are available in three different metals/alloys: yellow brass, rose brass and solid silver. With their elegant and homogenous sound, yellow brass bells provide a nice balance between the various playing parameters which make it the most widely used and widely played alloy in the world. Orchestral musicians are especially fond of bells in rose brass for their warmer sound and the possibility of broader and more powerful playing required by great works of the classical repertoire. Finally, many soloists choose solid silver bells for their precise and unique sound, rich in harmonics. 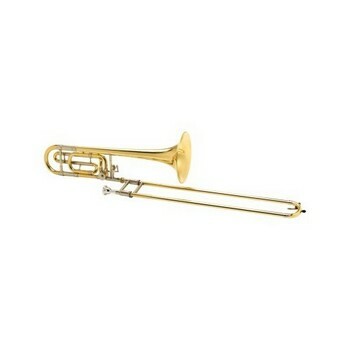 Four slide models are available for the Legend 420 trombones. Standard slides are yellow brass with nickel sleeves for a powerful stable tone, yellow brass with extrusions for a livelier and more vibrant response, ultralight brass with a soldered sterling lead pipe, for a lightweight clear centered tone, and nickel silver slides for their broader and more powerful playing qualities.